The Running Mormon: Introducing Skirt Sports Ambassador Captain Rachel! Introducing Skirt Sports Ambassador Captain Rachel! 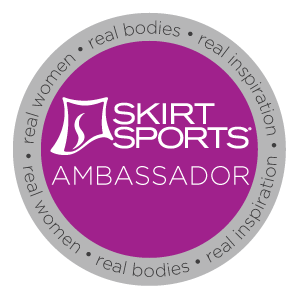 If you missed my extremely excited posts on Facebook and Twitter--or even if you did see them--then I am very pleased to announce that Skirt Sports has selected me to be one of their Ambassador Captains! What does this mean? In essence, it means that I have the opportunity to represent this company and promote a healthy active lifestyle for women everywhere. I also get to test out and wear their super cute products. I already love their apparel line--especially their running skirts--so this is a dream come true. Our Ambassadors are more than just athletes. They are real-life superheroes who believe that living an active, healthy lifestyle brings confidence, courage, balance and happiness to their busy lives. They are an extension of Skirt Sports in that they walk the healthy-livin’ talk, and through their efforts, create important ripple effects of inspiration and motivation to other runners, from beginners to seasoned veterans. They believe firmly in the transformative power of fitness and they are willing to go out of their way to share this love and passion with other women. 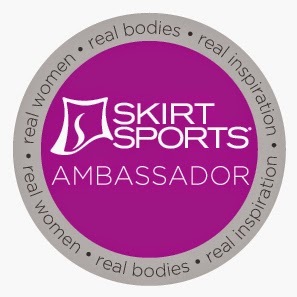 They are Skirt Sports wear-testers, models, motivators, moms, sisters, wives, daughters, and friends, providing real-life feedback on their real-life bodies doing real-life activities in Skirt Sports products. My thyroid tried to kill me!